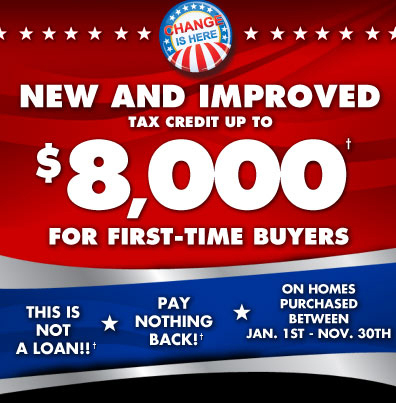 First time home buyers in the the year 2009 were fortunate enough to receive a tax credit worth up to $8,000. Nearing the end of this year the offer will expire and some may wonder what areas took most advantage of this once in a life time offer. Click here to view a map of the United States color coded to depict the usage of the $8,000 incentive. As you can see California, Texas, and Florida rank highest in tax credit usage. Oddly enough if you click the foreclosure tab, Florida and Nevada rank the highest. These are not the complete numbers,but depict a fairly accurate image of where the incentive is being utilized.